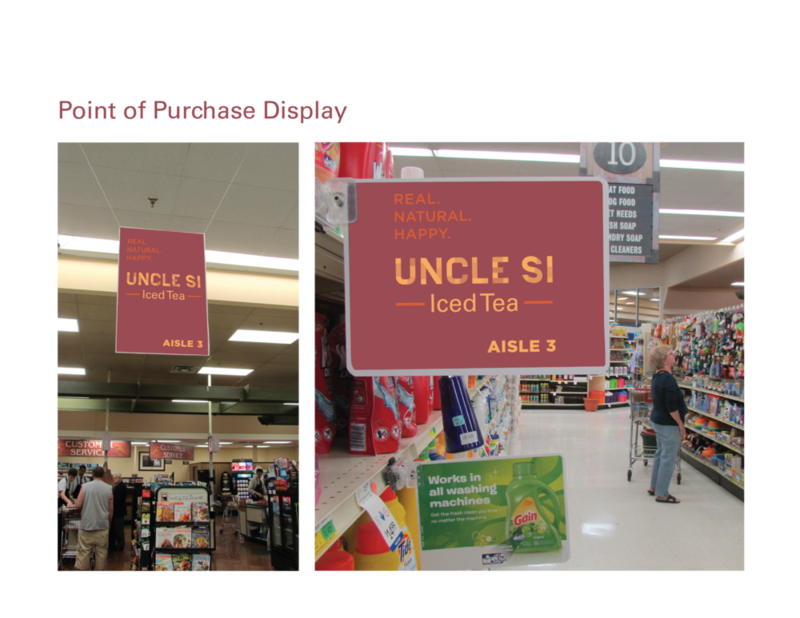 The purpose of this project was to learn how to design, display, and promote a new product line. I created a new logo mark for Uncle Si Iced Tea. Next, I developed a packaging solution for the product line which included both a tea box to brew your own product at home, as well as prepackaged bottles. The project culminated with point of purchase display.